A view is held, and sometimes expressed…that wives of Prime Ministers are more highly regarded and widely loved than Prime Ministers themselves, both during and after their terms of office. Assisting charities and welfare groups was once considered an ‘acceptable’ or ‘token’ role for a Prime Minister’s wife, but over time they have become powerful advocates with the ability to influence public and government opinion. John and I wore sprigs of wattle as we offered condolences to the families of those who had lost loved ones. It was a very emotional and traumatic time for everyone. On 12 October 2002, terrorists detonated three bombs in Bali, killing 202 people — 88 of them Australians. The attacks prompted a national outpouring of grief, anger and disbelief. 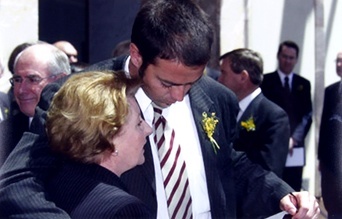 Janette Howard joined Prime Minister John Howard in representing Australia at a special memorial service (pictured above left). Causes have also included rallying support for Federation and women’s suffrage; helping servicemen through the First and Second World Wars; expressing sympathy and comfort during the dark days of the Depression; setting a positive example in the face of wartime austerity, and assisting a wide range of charities, welfare and business groups. Many wives have received official recognition for their services to the community. Margaret Fisher strongly supported women’s suffrage and used her position to further the cause, becoming the first Prime Ministerial wife to participate in a political demonstration. In 1911, she marched through the streets of London at the head of the Australian and New Zealand contingent of a 40,000 strong crowd. The issue of women’s suffrage was a contentious one in the United Kingdom, and Margaret’s participation in this rally is indicative of a growing sense of personal as well as national independence. 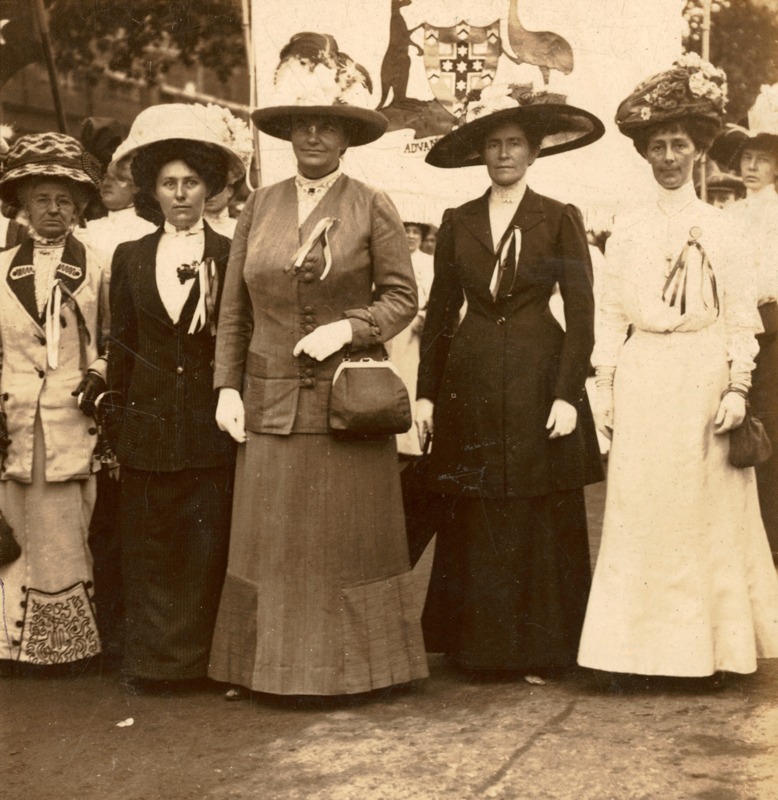 Margaret Fisher (middle) participates in the great suffragette demonstration in London, 1911, with Mrs McGowan and Miss Vida Goldstein, also from Australia. National Library of Australia.